LONDON—A British government report about fracking, which concluded that the method of shale oil or gas extraction increases air pollution, was left unpublished for three years and was only made public just four days after the firm Cuadrilla was given the go-ahead to start the practice in Lancashire. 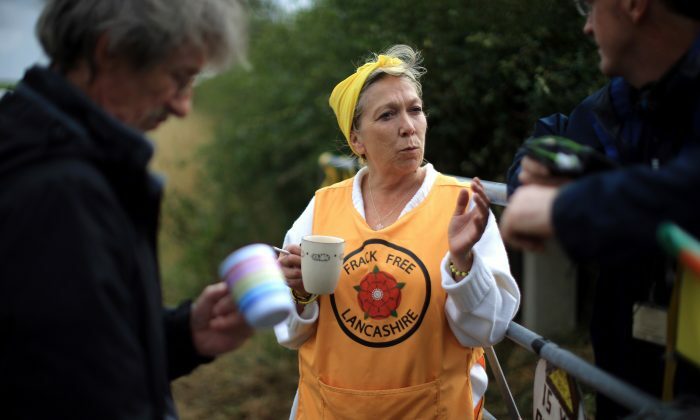 The report was written by the Air Quality Expert Group and seen by lawmakers in 2015, but only published on July 27, after Cuadrilla was given a permit to start fracking on July 24. “Impacts on local and regional air quality have the potential to be substantially higher than the national level impacts, as extraction activities are likely to be highly clustered,” the report said. The increased pollution levels aren’t just attributable to fracking itself, but also to the industry that surrounds it, such as diesel generators and large trucks that travel to and from sites. Fracking is controversial because of the huge amounts of water that must be brought to the site, and the potential for groundwater contamination by carcinogenic chemicals. Also, the process—which drills into the earth and uses high-pressure water to break the rock underneath—can cause small earth tremors. A spokesman for the Department of Environment, Food and Rural Affairs, told The Guardian newspaper that the report had been based on American data and was published as soon as it had been fully signed-off by lawmakers. However, professor Paul Monks, chair of the Air Quality Expert Group, told the paper that the 2015 report remained valid in its assessment that there would be increased air pollution. Furthermore, the report’s figures were based on an estimation of 400 fracking wells in the UK, but the report estimates there could be as many as 12,500 in the future. “If you increase the amount of wells, you are bound to broadly increase [pollution],” Monks said. 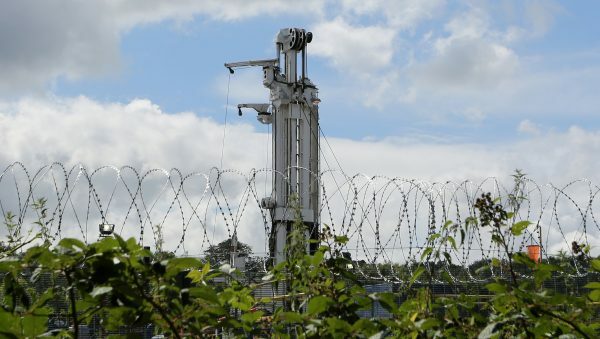 Monitoring of air pollution is taking place in Yorkshire before fracking begins, so that a baseline can be established. So far, spikes in air pollution, associated with times when vehicles have moved near the site, have been recorded. 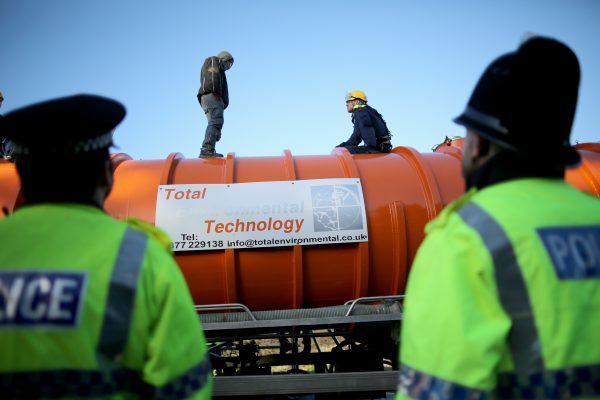 Some areas of the UK already have illegally high levels of nitrogen oxides, so any increase from future fracking activities could be dangerous. “Air pollution is already a public-health crisis that cuts 40,000 lives short every year, and this report is yet more evidence of why we shouldn’t start fracking,” said Connor Schwartz from Friends of the Earth, according to The Guardian. Elsewhere, Mexico’s next president said on Tuesday, July 31 that he would end fracking after he is sworn in on Dec. 1.